Makers of award winning, time saving and creative tools such as Phantasm, VectorScribe, WidthScribe and many more. Get the complete set of plug-ins and transform your workflow in Illustrator. 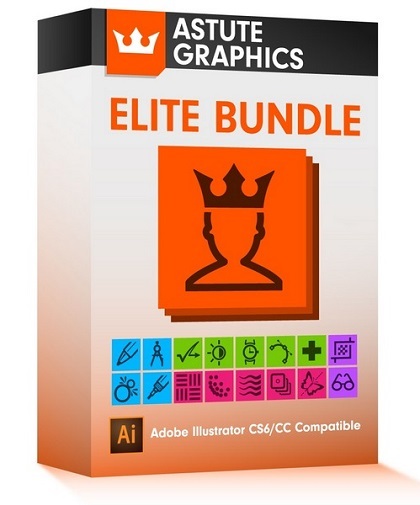 Add speed, ease and precision with all of our plug-ins and become an Astute Graphics Plugins Bundle! Texturino is a plug-in for Adobe Illustrator (versions CS6 to CC) for helping to create more natural, organic artwork with depth. Never again resort to using photo editing software to finish off vector work you've crafted in Illustrator! A live Effects plug-in for Adobe Illustrator CS6 and CC. A playful twist on a traditional technique - Stipplism allows you to explore dot and shape patterns faster and easier than you could ever imagine. Seamlessly interacting with Illustrator's native tools to produce high quality vector artwork. Take your stipple game up a level. Warning: seriously addictive! Trim your time spent in Adobe Illustrator with the ultimate embedded image solution. As Adobe Illustrator's top FAQ, true image cropping in Illustrator is obviously a vital tool for creatives worldwide. This is why our well established plug-in Rasterino is a must have for Illustrator users. Rasterino gives you previously unobtainable control directly in your document saving you hours in your common tasks. InkScribe is a plug-in that seamlessly integrates into Adobe Illustrator. Similar to the native pen tool in its functionality, what makes InkScribe special is the added control it unlocks, allowing you to work with precision and speed. Speed the process up - draw more naturally and intuitively in vector. Specifically designed to improve your vector design workflow, this amazing dynamic sketch tool means you can draw more naturally, intuitively and quickly in vector. It's been proven to increase productivity to such an extent that you can save up to 30% of your time during the initial drawing process, whether you're a novice or an experienced illustrator. Automatic File Back-up| Save Reminders | User Defined Settings. Don't run the risk of losing your hard-earned artwork when the unexpected happens. As recommended by Adobe, AUTOSAVIOURPRO is an integral part of a professional Illustrator workflow, ensuring a vital safety net of automatically saved artwork or timed reminders, speeding up your workflow and reducing the common stresses when working with technology. Textiles, Grunge, Wall, Wood, Shadows and Highlights. Exclusively crafted for use and Studios, these brushes will allow you to extend your artistic range.